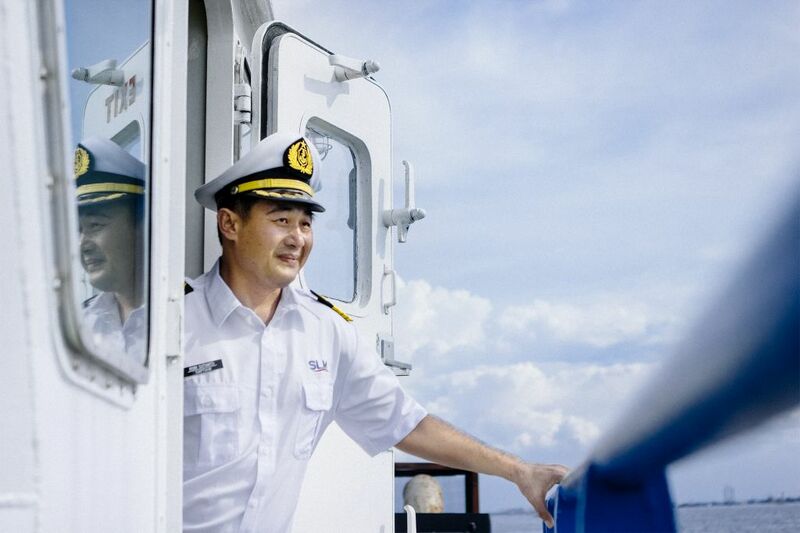 Captain Roni Sutanto on his ship. “I knew sailing was in my blood. 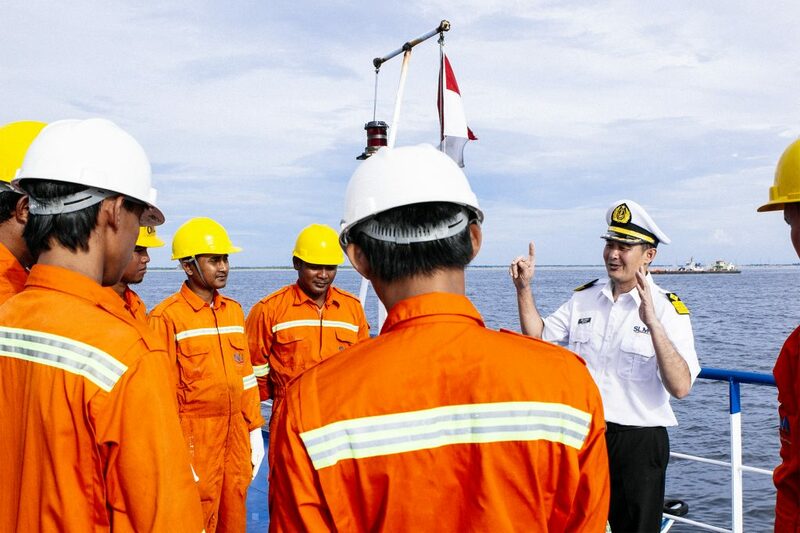 I graduated from the Maritime Nusantara Academy in my hometown in Central Java and have been sailing with Golden-Agri Resources (GAR) for 17 years now, starting as a cadet and working my way up to captain of my own ship. Our cargo is precious and we have to minimise any damage. I need to know everything there is to know about the cargo, the ship, and the waters. There is an art to balancing the load to avoid cargo shrinkage. If the cargo is not properly loaded, the ship can become unstable. There can be narrow turns and shallow waters to navigate. The company places a lot of trust in me and my crew to carry the cargo safely through these waters and deliver it on time. This is what I am most proud of. There was once a pirate attack on the Gama Tirta when I was just a cadet. We were taken hostage in the waters of Tanjung Buyut in South Sumatra. The pirates jumped on board with guns and swords, and tied everyone up. They took us to Singapore and transferred our palm oil cargo to another empty ship. And then they left, just like that—that was a close call. You still see pirates, though less often. We developed a security system to ward off attacks. Pirates don’t want to deal with prepared ships, so when they see us on alert, they leave and look for other targets. Captain Roni briefing his crew before they set sail. Delivering our products to customers around the world is an important part of GAR’s business as an integrated palm oil company. 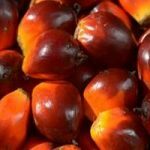 Golden-Agri Stena is the only JV between a palm oil company and a shipper in the sector. Read an interview with Bjorn Stignor, Managing Director and Head of Golden-Agri Stena here. 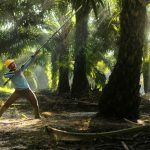 Click here to discover more stories behind the extraordinary, everyday lives of the people transforming palm oil.